Would you like to learn how to use the amazing healing energy you have and share it with others? Everyone is able to learn Quantum-Touch! 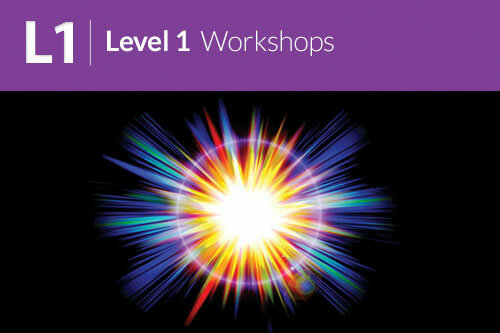 I am a Certified Level 1 and Level 2 Quantum-Touch instructor and practitioner. Teaching others this amazing method of healing is something I greatly enjoy doing. During the class you will see pain levels decrease, feel life-force energy, observe bones moving into correct position and emotions balancing. It truly is incredible. If you are interested in a private group workshop, I will be glad to work with you on your schedule and hold a private workshop on a different date. A minimum of 3 students will be needed for private training. I do not teach workshops on Sunday. I am also qualified, as a Quantum-Touch instructor, for Massage Therapists and Hypnotherapists needing CNE hours. Learning this method of energy healing is a fun and very helpful way to get CNE hours. Contact me to register for a workshop at 480-695-3341 or thehealersgarden@gmail.com. I prefer checks but accept most credit, debit cards and Venmo. "I recently took my final Level 1 workshop with Lorrain in Gilbert AZ. My experience exceeded that of previous experiences. Her teaching style is such that she allows her knowledge and expertise of Quantum-Touch to have her students, through resonance and entrainment to raise their energetic level to match hers. "Lorrain I don't completely understand how this works but IT DOES WORK!!! Thank you so much! Nine months of pain, misery and a lot of Doctor visits without relief - one visit with you and I felt so much better it was like getting my life back!!!"